Arthroscopic Surgery FAQ | Jay Kruse, M.D. For which conditions is arthroscopic surgery often recommended? What is the recovery process from arthroscopic surgery? Are there risks associated with arthroscopic surgery? 1. 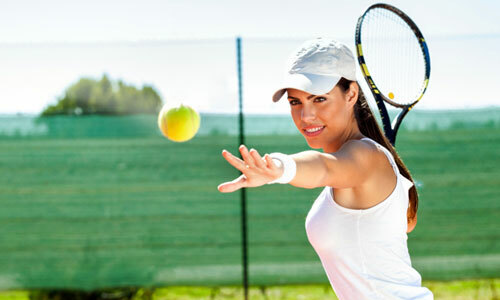 What is arthroscopic surgery? Arthroscopic surgery, also known as arthroscopy, is a minimally invasive surgical procedure used to treat a variety of joint conditions, such as meniscal or ligament tears. During arthroscopic surgery, Dr. Kruse creates two small incisions into the joint, which he uses to insert a fiber-optic camera, known as an arthroscope. The arthroscope provides real-time video of the joint interior through a computer monitor in the operating room. By using that video, Dr. Kruse introduces pencil-sized instruments, inserted through one of the incisions, to repair or remove the damaged areas. 2. For which conditions is arthroscopic surgery recommended? 3. What are the benefits of arthroscopy? Because of smaller incisions and specialized instruments, arthroscopic surgery has several advantages including: decreased scarring, less disruption of the surrounding tissue, a reduced amount of post-operative pain, less blood loss during surgery, shorter hospital stay, quicker return to daily activities, and more natural joint movement. 4. What is the recovery process from arthroscopic surgery? The type of restrictions after arthroscopic surgery depends on the reason for surgery and the type of procedure. Arthroscopy patients can experience some pain and inflammation post-surgery, which can often be relieved through a combination of rest and prescribed pain medications. Depending on the type of surgery, patients may be given a physical therapy referral to help restore joint strength, flexibility, and help patients return to their everyday activities. For more minor procedures (including shoulder arthroscopy or removal of a torn meniscus), patients are usually not given any restrictions. For more complex arthroscopic surgery (including rotator cuff, mensical or ACL repairs), patients will have a graduated physical therapy plan in which recovery can take up to 6 months. 5. Are there risks associated with arthroscopic surgery? To ensure a successful recovery, patients should express any concerns or unexpected post-op symptoms to Dr. Kruse and his surgical care team immediately.